By law, I’m supposed to tell you right now that this is a sponsored post. So, I’m telling you this is a sponsored post, but I also want to tell you that I could not be more excited about sharing with you one of our most favorite products on the market from Blue Harbor Fish Co! 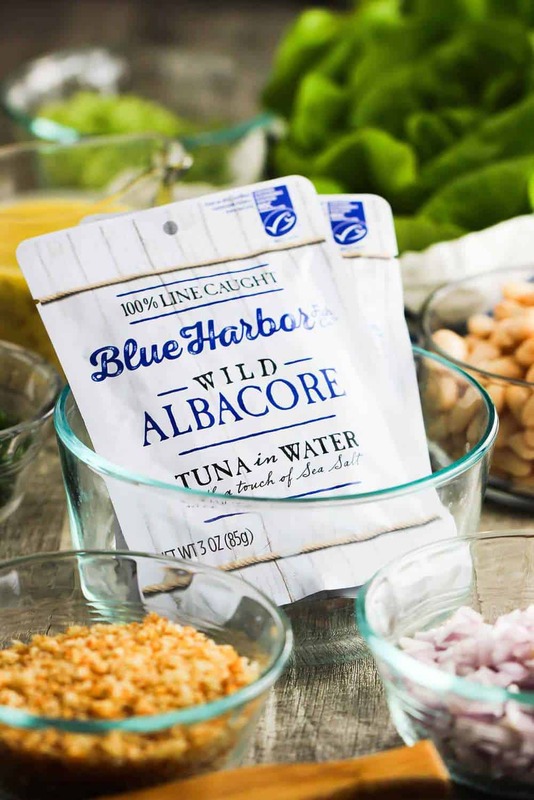 We made the most amazing Albacore Tuna and White Bean Salad recipe using Blue Harbor’s incredible Wild Albacore Tuna. Oh man, this is the real deal. So, we all know it’s a new year and that means it’s time to set some resolutions, right? And if you’re like millions of people all over the planet, the new year is the perfect time to introduce a healthier diet into your day-to-day schedule. Well, we couldn’t agree more. But the good news is eating healthier does NOT mean you have to give up on taste! Take one look at this Albacore Tuna and White Bean Salad and tell me you don’t agree! 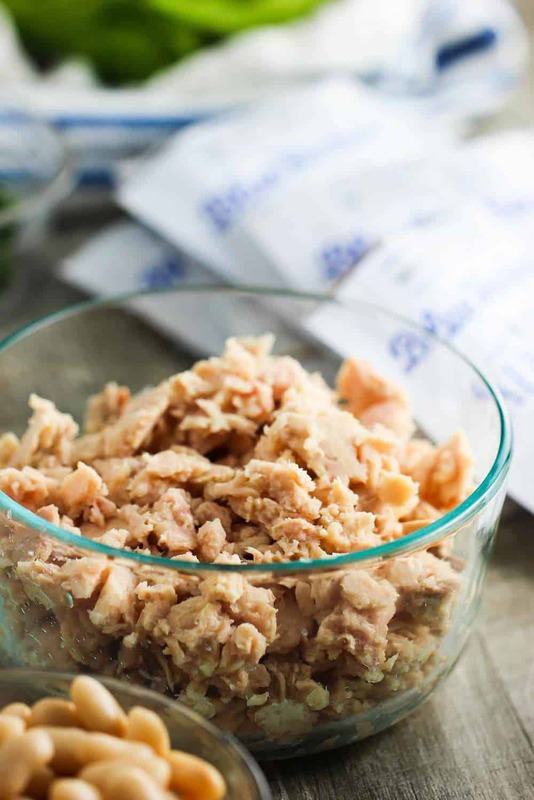 There’s a lot to love about Blue Harbor and their awesome pouches of incredibly delicious, flaky Albacore tuna. One, I love that you can easily open the pouch and you’ve got 3 oz. of the freshest tuna that is sustainably caught, and you don’t even have to drain. It’s just all about the tuna. And let’s talk a little about this tuna from Blue Harbor, shall we? The tuna is hand-selected and each pouch is packed with only water, or water and sea salt, offering a delicious, mild, clean flavor. 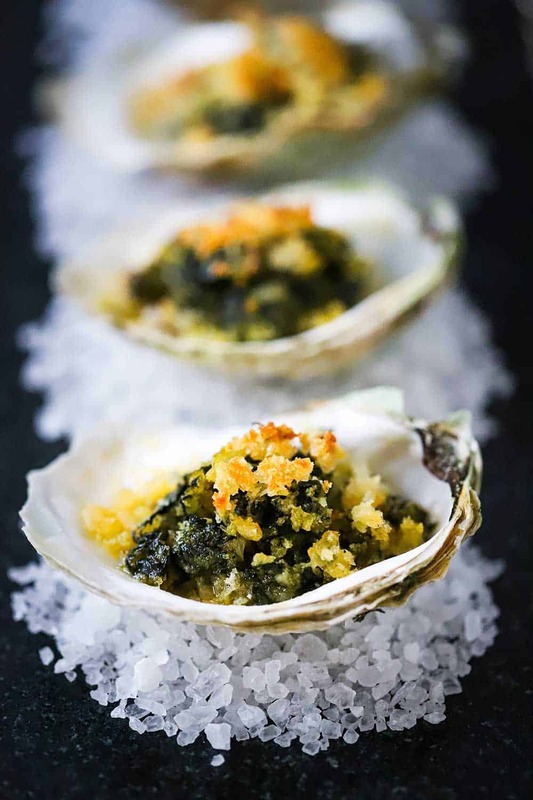 I love cooking with sea salt, so the version with sea salt is perfect for us. But, I’ve tried the version with no sea salt, and it’s really amazing, too. Again, it’s all about the tuna! Clean food is ideal for eating healthy in the new year. And Blue Harbor manufacturers some of the best tasting, cleanest Albacore tuna we have ever encountered. They have really managed to bring back that undeniable and essential fresh taste of tuna. What else is really cool about Blue Harbor tuna is that it comes from Marine Stewardship Council (MSC) certified fisheries and is dedicated to the sustainability of the world’s fish stocks. The MSC is an international non-profit organization established to address the issue of unsustainable fishing and to safeguard seafood supplies for the future. 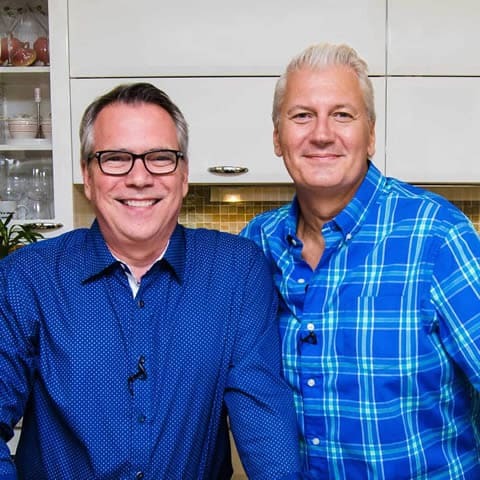 Both the Loon and I are big believers in and supporters of brands and businesses that are committed to sustainability and responsible, safe, ethical processes of cultivating and delivering food products to the public. In our eyes, and many others, Blue Harbor holds extremely high marks in that regard. I just love using Blue Harbor for my amazingly delicious, and healthy Albacore Tuna and White Bean Salad recipe! So, it’s a New Year and it’s time for a New You! At least when it comes to eating healthy, sustainably delicious meals. The pouches of amazing Albacore from Blue Harbor fit perfectly into your resolutions for a healthier you. And they are so convenient, too! It truly is a wonderful thing to behold. We can’t rave enough about Blue Harbor’s Wild Albacore Tuna! 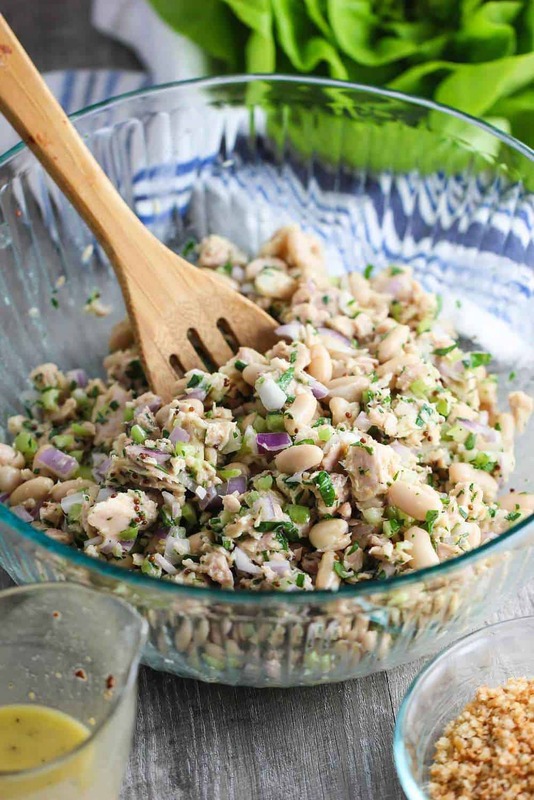 Pick some up and make our amazing Albacore Tuna and White Bean Salad recipe. You will be so glad you did as you keep that important resolution for a healthier diet in the new year! Though this is a sponsored post written by me on behalf of Blue Harbor Fish Co, the words and sentiments are all mine. 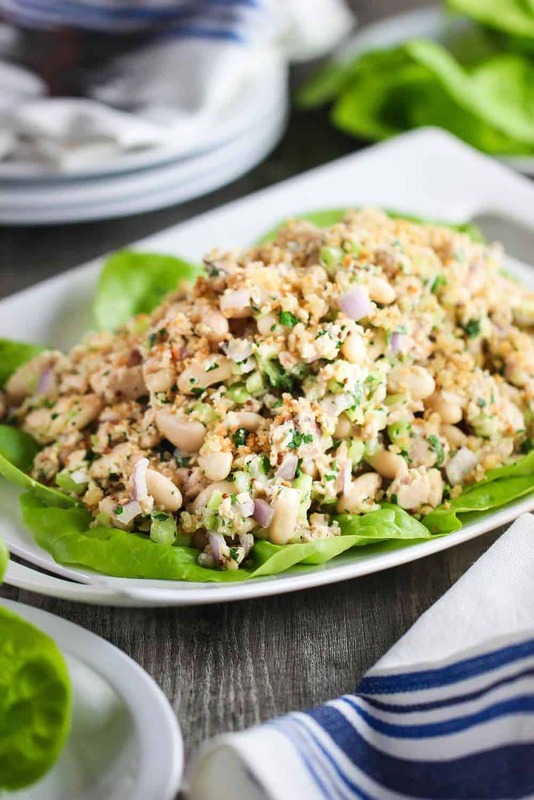 Now, make this incredible Albacore Tuna and White Bean Salad recipe! 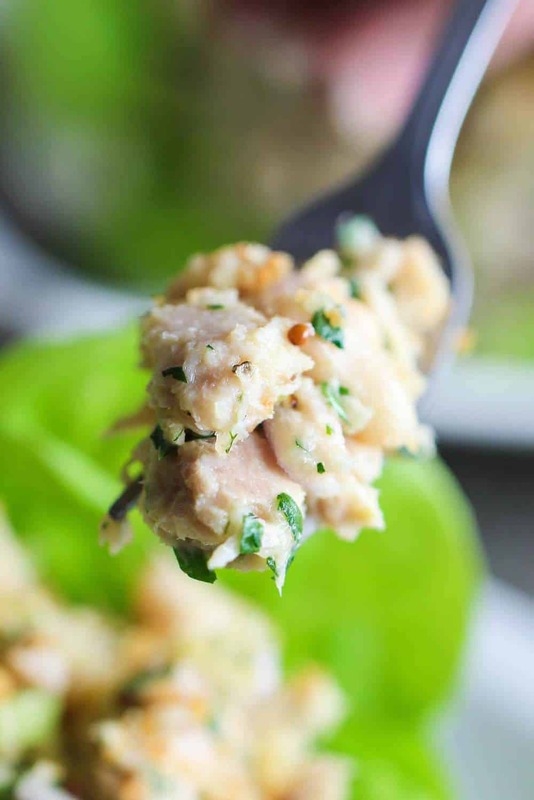 This Albacore Tuna and White Bean Salad recipe is so delicious but also extremely healthy. Be sure to use quality tuna. Our favorite, without a doubt, is from Blue Harbor Fish Co. Their easy-to-use pouches are perfect. No draining required! And clean, wonderful tuna taste. 1/2 cup fresh bread crumbs 4 crustless pieces of white bread, pulsed for 1 minute in a food processor works perfectly. In a medium skillet, heat the oil over medium-high heat. Add the bread crumbs and cook, stirring frequently, until crumbs begin to brown, about 4 - 5 minutes. Remove from the heat and stir in the garlic. Place the bread crumbs on a paper towel-lined plate and season lightly with salt and pepper. Set aside. To make the vinaigrette, in a bowl, or a jar, whisk together the lemon juice, mustards, honey, salt and pepper. Add the 1/3 cup of oil in a thin stream, whisking constantly, or shaking vigorously with the jar closed (if using a jar). The dressing should be smooth and emulsified. In a large bowl, add the beans, parsley, celery, onion, and tuna. Pour the vinaigrette over the mixture and toss gently to coat. Arrange the lettuce on individual plates, or one large serving platter and top with the tuna and bean mixture. Sprinkle the toasted bread crumbs over the top and serve.